We are extremely proud to announce that this year’s MBWF (Monaco Better World Forum) held under the High Patronage of H.S.H Prince Albert II of Monaco, has awarded WDIT honorary Advisory Board members Laura Bispuri and Malgorzata Szumowska with Colombes D’or’ and its Founder and President Manuel Collas de La Roche, has nominated our Founder Chiara Tilesi Ambassador of this edition. We are very excited for our organization’s remarkable achievements. This past weekend of the 21st and 22nd of September, Chiara Tilesi and our Honorary Advisory Members Laura Bispuri and Malgorzata Szumowska have proudly represented We Do it Together at the Third Edition of the Monaco Better World Forum. The Third Edition of the MBWF is commending the achievements of filmmakers, philanthropic individuals, and organizations whose projects have succeeded in propagating awareness of this year’s humanitarian topics: education, child protection, women’s rights, environmental preservation, and disability. The work of our organization and its members is being publicized in multiple events throughout the weekend in recognition of our dedication to women’s rights. We are proud to announce that Laura Bispuri’s directorial talent has been on display in an exclusive screening eventfeaturing her film Daughter of Mine at the Cinema des Beaux-Arts. 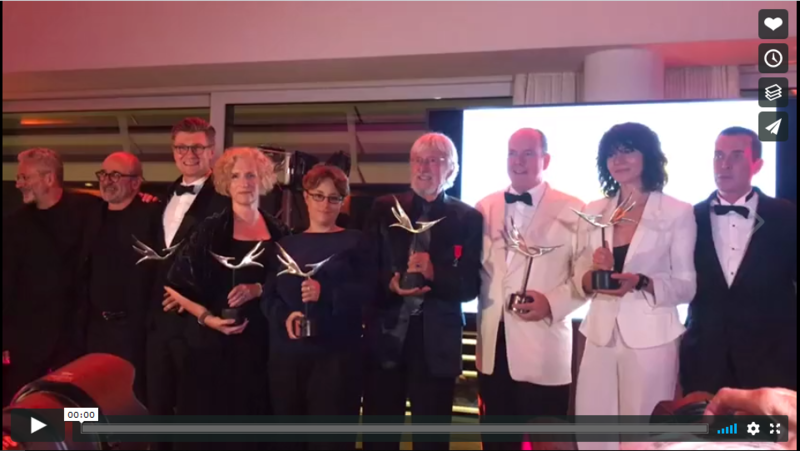 Following this event, MBWF has awarded multiple outstanding Filmmakers, like Wim Wenders, who was given the Colombe d’Or for “LIFE ACHIEVEMENT” and Jean Michel Cousteau who was given the Colombe d’Or for “ENVIRONMENT”. Along with them, We Do It Together’s Bispuri was awarded the Colombe d’Or for “BEST DIRECTOR” for the film “Daughter of mine” and for her engagement and her constant support to Women Rights and Szumowska the Colombe d’Or for “BEST BEST ACHIEVEMENT”, for Women Empowerment, as a recognition for her social involvement and dedication to Women Rights in her films and her commitment to the international organization We Do It Together. We ask you to join us in celebrating this news, as we are tremendously proud of our Advisory Members’ individual achievements, and are privileged to have their dedication reflect positively on WDIT as a whole. Thank you to all of you for your continuous support and service to our mission to change the female narrative.